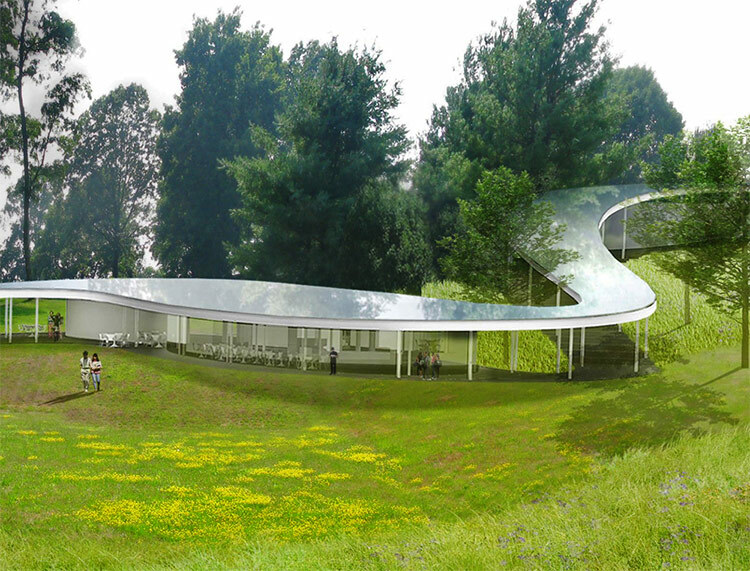 Tokyo-based SANAA has unveiled its next U.S. project, a meandering structure called The River for the Grace Farms Foundation, a faith, arts, and social justice non-profit in New Canaan, CT. 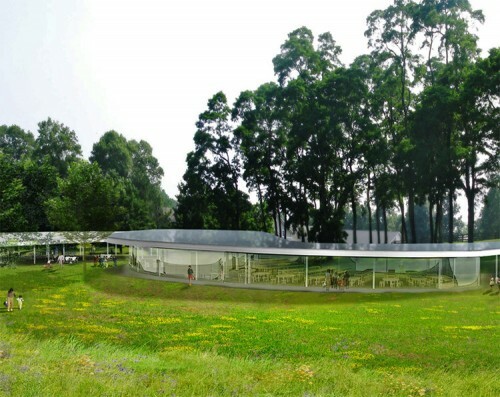 Situated on one acre of the 75-acre Grace Farms, the building is defined by its flowing roof that hovers ten feet above the landscape on slender metal posts. Interior spaces are formed by increasing the building’s width and enclosing spaces in floor-to-ceiling glass, creating a seamless transition between interior spaces and a landscape designed by Philadelphia-based OLIN. The River descends from a sanctuary space for the Grace Community Church atop a hill and includes a library, meeting space, dining room, gymnasium, and children’s spaces along its route. On Monday, plans for the slender community and spiritual center were submitted to New Canaan’s Planning and Zoning commission for approval and is expected to make a decision by the end of the year. The landscape of meadows, wetlands, lakes, and woods at Grace Farms was preserved from development in 2008 when a 10-house subdivision was once proposed.